Why would otherwise intelligent people join an extremist fascist movement? Here are some of the things I have penned about a group of Romanian fascists known as the Legion of the Archangel Michael. Holy Legionary Youth was shortlisted for the NSW Premier’s History Awards in 2016 and won the Fourth Biennial Book Prize from the Society for Romanian Studies in 2017! Roland Clark. Holy Legionary Youth: Fascist Activism in Interwar Romania. Ithaca, NY: Cornell University Press, 2015. Founded in 1927, Romania’s Legion of the Archangel Michael was one of Europe’s largest and longest-lived fascist social movements. 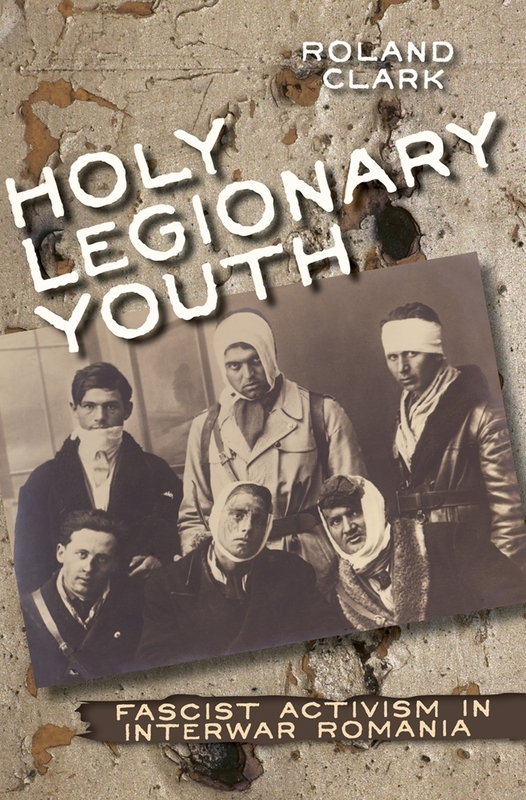 In Holy Legionary Youth, Roland Clark draws on oral histories, memoirs, and substantial research in the archives of the Romanian secret police to provide the most comprehensive account of the Legion in English to date. Clark approaches Romanian fascism by asking what membership in the Legion meant to young Romanian men and women. Viewing fascism “from below,” as a social category that had practical consequences for those who embraced it, he shows how the personal significance of fascism emerged out of Legionaries’ interactions with each other, the state, other political parties, families and friends, and fascist groups abroad. Official repression, fascist spectacle, and the frequency and nature of legionary activities changed a person’s everyday activities and relationships in profound ways. Clark’s sweeping history traces fascist organizing in interwar Romania to nineteenth-century grassroots nationalist movements that demanded political independence from the Austro-Hungarian Empire. It also shows how closely the movement was associated with the Romanian Orthodox Church and how the uniforms, marches, and rituals were inspired by the muscular, martial aesthetic of fascism elsewhere in Europe. Although antisemitism was a key feature of official fascist ideology, state violence against Legionaries rather than the extensive fascist violence against Jews had a far greater impact on how Romanians viewed the movement and their role in it. Approaching fascism in interwar Romania as an everyday practice, Holy Legionary Youth offers a new perspective on European fascism, highlighting how ordinary people “performed” fascism by working together to promote a unique and totalizing social identity. Now also available in Romanian! Cristian Vasile, Contributors.ro, 13 September 2015. Ionut Biliuta, Hungarian Historical Review, 5/1 (2015): 194-196. See other reviews in H/Soz/Kult, European History Quarterly, The Slavonic and East European Review, Patterns of Prejudice, Historische Zeitschrift, Europe-Asia Studies, The Journal of the History of Childhood and Youth, History, Revista Istorica, Observator Cultural, Revista 22, Ramuri, and Diacronie. For more background on how the book was researched and written, you can also listen to my interview with Amanda Swain on the New Books Network. Roland Clark. “Conflict and Everyday Life at the Legionary Cultural Center in Iaşi (1924-1938),” Arhiva Molaviae, 3 (2011): 139-161. Fascist activists who came to be associated with Romania’s Legion of the Archangel Michael planned and built a Cămin Cultural Creştin (Christian Cultural Centre) in the city of Iaşi between 1924 and 1928. 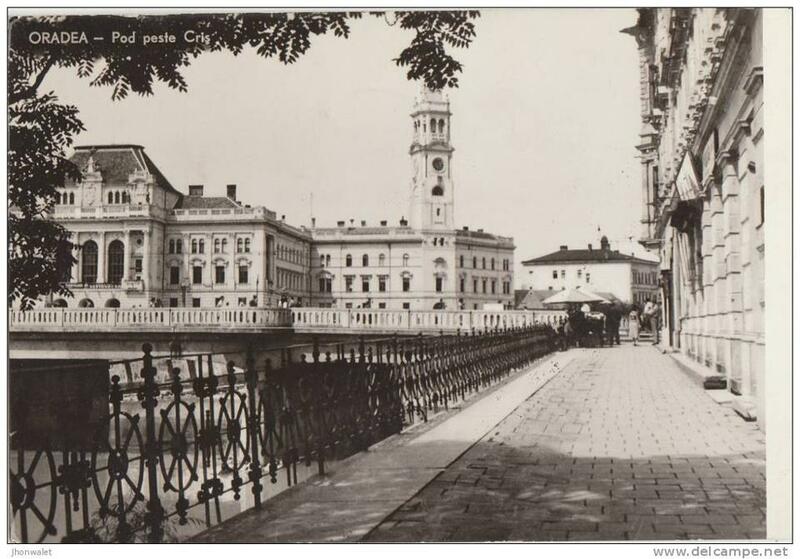 The building became central to the movement’s activities in the city throughout the interwar period and provided a place where legionaries could meet, relax, work, and socialize. It also became a site of contention between legionaries and their opponents, including followers of A. C. Cuza and various groups of Romanian policemen. 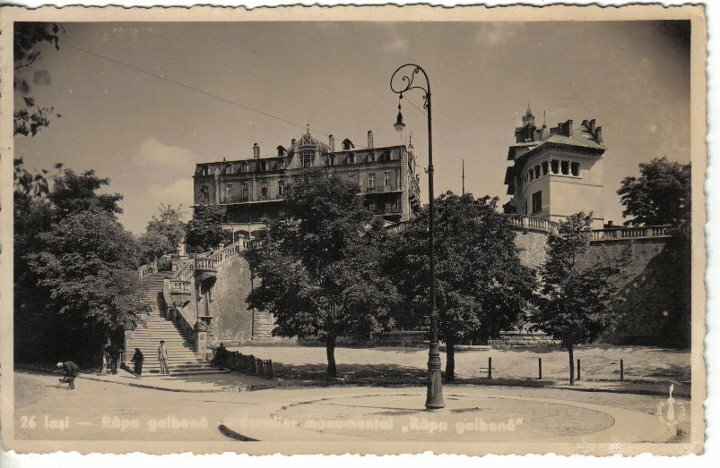 This article draws on approaches from the history of everyday life (Alltagsgeschichte) to show how conflict and conviviality shaped the lives of legionaries within this one building. It emphasizes the importance of geographical space for social movements, the way that practical projects shaped, articulated, and embodied legionary ideology, and how violent contests over territory divide activists and consolidate the new groups that are formed. Roland Clark. “Collective Singing in Romanian Fascism,” Cultural and Social History, 10/2 (2013): 251-271. The Romanian fasci st group known as the Legion of the Archangel Michael, or the Iron Guard, made extensive use of collective singing to articulate its ideology and to create a sense of group unity. This article examines legionary music and the contexts in which legionaries sang to show how fascist social movements used culture to mobilize people behind their cause. Fascist music initially drew on folk roots as well as a genre of patriotic anthems learned in school and in the army. 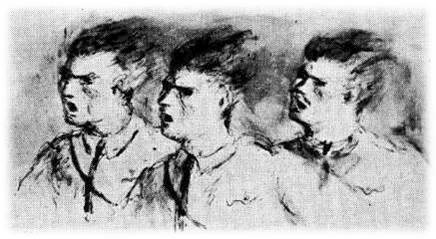 Once the Legion became stronger and more self-confident, these songs developed into a unique fascist style written by professional poets and composers. Roland Clark. “Anti-Masonry as Political Protest: Fascists and Freemasons in Interwar Romania.” Patterns of Prejudice, 46/1 (2012): 40-57. Unlike attacks on already stigmatized groups such as Jews and communists, the objects of anti-Masonic attacks had institutional power and were socially respectable. Romanian anti-Masonry was an attempt by politically marginal parties on the extreme right to undermine the authority of their mainstream opponents. Anti-Masonry was a core doctrine for both of the major fascist parties in interwar Romania (A. C. Cuza’s National Christian Defence League and Corneliu Zelea Codreanu’s League of the Archangel Michael) as well as for journalists and writers associated with smaller groups or those attempting to create a united fascist front. Drawing on a large corpus of anti-Masonic texts, they claimed to be opposing a global conspiracy against the Christian world by Freemasons in co-operation with Jews and communists. Fascists slandered specific individuals, including government ministers and leading writers, accusing them of treason and heresy because of their supposed ties to Freemasonry. Romanian Freemasonry’s connections with French lodges led fascists to blame Masons for their country’s pro-French, pro-League of Nations foreign policy, which they saw as evidence that Romania was run by Jews. 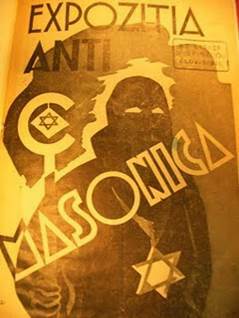 Anti-Masonry extended beyond fascist circles and was also adopted by the Orthodox Church, which declared Freemasonry to be heretical and anti-Christian. Not limiting themselves to those who actually were Masons, fascists also accused other fascists of having Masonic connections as a way to undermine the nationalist credentials of political rivals. Anti-Masonic slander continued even after Freemasonry was dissolved in Romania, but decreased in frequency once fascists gained institutional power. For them, anti-Masonry was primarily a way to attack people in power and, once the fascists ruled Romania, anti-Masonry became an excuse to replace representatives of the old regime with new fascist appointees. Roland Clark. “Die Damen der Legion: Frauen in rumäischen faschistischen Gruppierungen.” Trans. Andreas Rathberger. In Inszenierte Gegenmacht von rechts: Die “Legion Erzengel Michael” in Rumänien 1918-1938, edited by Armin Heinen and Oliver Jens Schmitt. Munich: Oldenberg Verlag, 2013, 193-216. 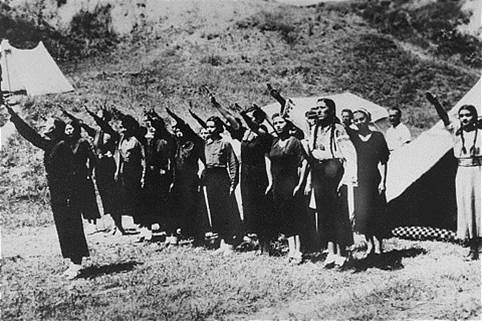 Women contributed to Romanian fascist communities not only as activists but also as mothers, wives and girlfriends. Female students participated in anti-Semitic student organizing during the 1920s while rich society women provided land and funds. After a quick overview of the 1920s, in this chapter I examine the lived experiences of mothers, wives and activists associated with the Legion of the Archangel Michael during the 1930s and under the National Legionary State of September 1940 – January 1941. I use the lives of Marietta Sadova and Maria Iordache as case studies to shed light on how some women participated in Romanian fascism, emphasizing that the options available to them were often determined by class and education as much as by gender. Finally, I contrast the ideal fascist woman with the fascist ideal of women, drawing on legionary publications and pro-legionary newspapers to show that while ideologues promoted motherhood and domesticity, there were actually a wide variety of fascist discourses about women in interwar Romania. Roland Clark. “Claiming Ethnic Privilege: Aromanian Migrants and Romanian Fascist Politics,” Contemporary European History, 24/1 (2015): 37-58. Roland Clark. “The Salience of “New Man” Rhetoric in Romanian Fascist Movements, 1922–44.” In: The New Man in Radical Right Ideology and Practice,1919-1945, edited by Matthew Feldman, Jorge Dagnino, and Paul Stocker. London: Bloomsbury Academic, 2018. pp. 275 – 294. Most fascist movements spoke about creating new men in interwar Europe, but they frequently meant different things by the term. 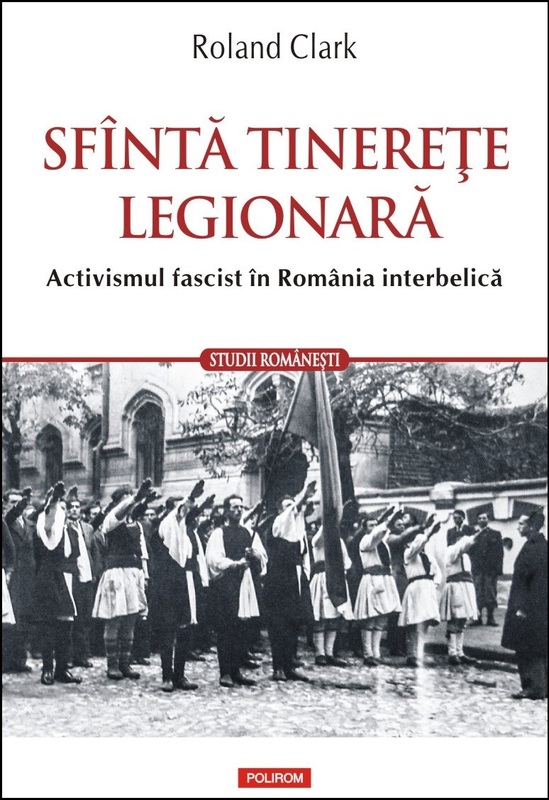 This chapter examines the history of the Legion of the Archangel Michael in Romania to show how fascist activists appropriated to achieve specific ends in various contexts. It treats ‘new men’ as a floating signifier that activists employed strategically rather than as an ideologically-driven aspiration that shaped fascist behavior. During the early 1920s, right-wing student activists in Romania spoke of themselves as a new generation of heroes. They transferred this rhetoric of newness into the Legion in 1927 and legionary intellectuals explicitly spoke about ‘new men’ in 1933 as a way of associating themselves with fascist movements elsewhere in Europe. New man rhetoric featured strongly in legionary propaganda between 1935 and Codreanu’s death in 1938, only to be revived for different purposes by the National Legionary State in 1940-41. Roland Clark. “Re-Membering Codreanu: Undermining Fascist Masculinities in Aiud Prison, 1964.” Caietele CNSAS, 8/2 (2017): 181 – 215. A group of 105 inmates at Romania’s Aiud prison produced a collective memoir in 1964 entitled On the Legionary Organization: Mysticism, Massacres, Betrayal. In it, they retold the history of the Legion of the Archangel Michael, a fascist movement these men had been imprisoned for allegedly supporting. They wrote this two-volume memoir as part of their “reeducation” before being released into Romanian society, which was now under communist rule. Unlike most –isms, fascism had no creedal or doctrinal statements that prisoners could recant in order to demonstrate that they had turned their backs on the movement. Instead, they systematically slandered themselves and other former activists, arguing that they had never truly exhibited virtues that legionaries believed had defined fascism in Romania. On the Legionary Movement dwells at length on sexual deviancy, superstition, hypocrisy, betrayal, and violence as key characteristics of Romanian fascism from 1922 until 1964 and praises the brutal prison system as the only way that the social ills of fascism could be remedied. Roland Clark. “Printing a Pogrom: Violence and Print Communities in the Case of Captain Keller.” In Understanding Violence: Contexts and Portrayals, edited by Marika Guggisberg and David Weir. Oxford: Inter-Disciplinary Press, 2009, 133-147. Both printing and violence help create communities. Printing of reports about violence also mutates and expands existing communities created by violent events such as pogroms. During the 1927 annual congress of the National Union of Christian Students of Romania (UNSCR), attendees attacked Jewish residents and destroyed their businesses and places of worship in Cluj and Oradea Mare. Captain Wilfred N. Keller, an American businessman and former YMCA worker, went onto the streets to ask rioters to stop vandalising his office. The severe beating that Keller received put him in hospital and temporarily brought Romanian anti-Semitic violence into the international spotlight. This article examines how the Oradea Mare violence and the court cases that followed were represented in the Romanian and international press. In particular, it looks at how newspaper reports, police memoranda and diplomatic documents surrounding the Keller case helped to draw nationalist students into the fascist Legion of the Archangel Michael.